A time of change, transition, both in lifestyle and perhaps location. Seeing new parts of the world, a journey into new places, a change, a time of respite, vacation. Gaining insight into the big picture, understanding the correct path for us to take. 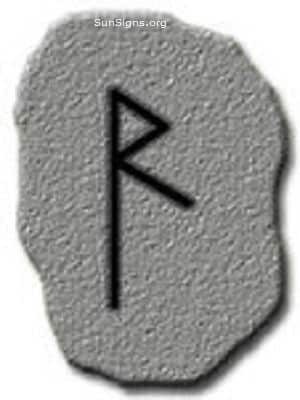 The Raido Rune of the Elder Futhark brings a safe journey, from mighty fjord to distant ice. The Skald may call, his voice high, to bring us lessons of wisdom past. The reins of the horse of life are yours to take, it is time to direct life, guide it, but listen to those about you as you do. The soft road can be the foolish one, sometimes the hard high road lends us a better perspective, and lets us see the road clear. The Raidho rune calls for a journey, not just of body but of self. It brings us a change in the direction we travel, and tells us the future has more in store for us than we have lived thus far. 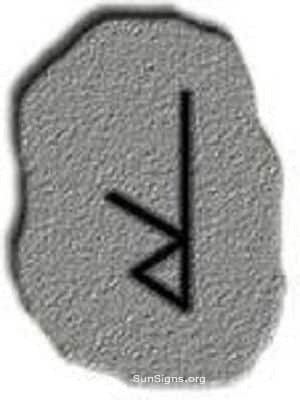 Call on the Raido rune for a safe journey, that guides us into the unknown, and to bring about changes. A time of chaos, a loss of the road ahead, no sign of rational progression. The halls of justice turn against us, and all progress is halted, our stability is disrupted, forcible dislocation, possible physical transition into death. The Raido Merkstave calls us into being frozen, without a guide. We are lost and frozen in our wandering, there is no path to take, no wisdom to share, no guide to where we should next go. The Dark staff of the Raidho rune, brings us Darkness in our eyes. In our darkness we lose the chieftains gaze, our kinsman esteem, and justice will not find us. Lo also that we may be called to Hel, our death a sorrowful one, no joyful halls of Valhalla for us, no warriors death. Instead we are called to the shameful halls, to freeze under her baleful eye, among milk mothers and cowards we dwell. All is in chaos when the Raido rune is in Merkstave, the horse gallops out of control.